An investigation has been launched after a 12-year-old boy ‘died’ for five minutes at a Northampton swimming pool. Joshua Smith was on a swimming trip to Danes Camp with his carer and friends two weeks ago when he got into difficulty in deep water and stopped breathing. He was helped out of the pool by a member of the public and resuscitated by lifeguards on duty at the time and has since made a recovery. But his mother has called for the leisure centre to release CCTV of the incident, which happened on September 21, after her son’s carer raised concerns about how the incident was initially dealt with. 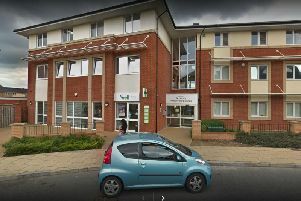 Northampton Leisure Trust, which runs the centre, said its staff had acted in accordance with their procedures and that there was a positive outcome as a result of their actions. The drama unfolded after Joshua was 15 minutes into the session. In a report on the incident, his carer said he got into difficulty and “began to panic, flailing his arms and legs and splashing a lot”. The carer believes that the lifeguards thought he was “just messing about” and did not initially react to the incident. She also believes that the music in the leisure centre made it difficult for the lifeguards to hear what was happening. “Another woman in the pool had spotted Josh and called for the lifeguards as well, finally they got up and ran around the pool,” she said. “By this time, Josh had stopped struggling and had gone limp. I got to the edge by Josh as the life guards reached where they were and they pulled him out of the water. “He wasn’t breathing and had gone blue around his face,” she said. The carer claims she was stopped from performing CPR as lifeguards waited for a first aider to arrive and carried out initial checks. She added: “A different Danes Camp staff member performed CPR on Josh and he started breathing again but was still unconscious. Paramedics arrived at the scene to take Joshua to Northampton General Hospital and his mother, Katie Smith, accompanied her son while he was taken for a CT scan. Joshua has ADHD, dyslexia and language and communication difficulties. Katie is now calling for Danes Camp to issue her with CCTV footage of the incident so she can see for herself what happened that day. A spokesman for Northampton Leisure Trust said: “As the child went under the water, there was a swimmer passing by who helped him to the side of the pool where our lifeguard pulled him from the water. “The lifeguard checked for breathing and, by the time he had been assessed the child wasn’t breathing. The second lifeguard on duty started the recovery process. “The breathing recommenced and he was put into the recovery position. The lifeguards’ response resulted in a positive outcome. We are aware an investigation has been launched by the local authorities into the circumstances of this event and we have also reviewed what happened. Download our app by clicking here to download from Google Play or clicking here to download from Apple’s App Store.